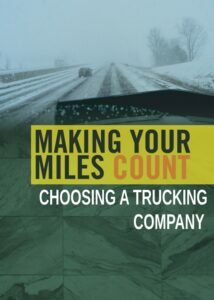 This timeless book is written to lease/owner Operators in Canada. It deals with every known tax issue applicable to them. It exposes the two primary methods of taxable income reporting and traces the historical logic of the two systems even quoting a significant court case word for word. It then promotes one method as the superior over the other, exposing annual after tax benefits in the thousands. You can view a chart showing the net tax difference in the research portion of this website. Increases and variations depend on the mix of drivers and average volume of days on the road (our daily totals assume 21 days per month). There will be a constant increase in annual tax savings year over year because non-taxable benefits increase twice per year at an annual increase usually greater than inflation. The TL2 simplified method increases only randomly (as the “research” section on this web site shows) for example: 2003 ($33.00 to $45.00), 2006 ($45.00 to $51.00), 2007 (start of the increase from 50%-80% deductibility). 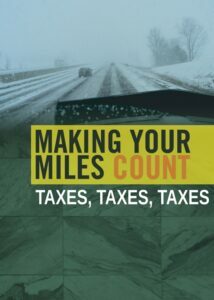 “Making Your Miles Count: taxes, taxes, taxes” is the tax textbook for Canadian lease/owner operators. Shipping and handling costs are included in Canada only ($11.50 if shipped to the U.S.) Purolator Courier charges must be requested separately. Purchases in multiples greater than 10, contact our office directly for discounts.